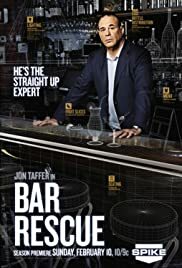 Q: What is the success rate of the rescued bars after Jon Taffer leaves? I always find it fascinating to watch how professionals work. 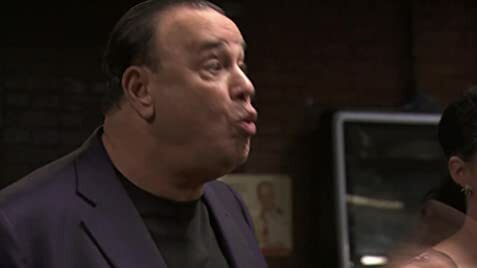 Training often hapless and uncooperative staff though requires a special kind of devotion to the profession and Jon Taffer genuinely seems to care deeply. Bar Rescue gives him an opportunity to demonstrate the breadth of knowledge and experience needed to turn a failed bar into a success. Unlike some other similar shows, Taffer freely brings in whatever specialists he thinks are required so the show is not the clash of single egos. He is though a bulldozer - anyone required to but refusing to move gets an increasing verbal battering until they either do so or get broken up. 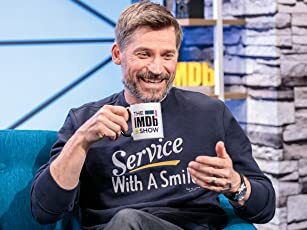 I know nothing about this particular field but never saw him make a change that neither seemed necessary or a quite inspired improvement. Staff who thieve are caught out, called out then thrown out. Misbehaving drunken staff (or more often, the owner) are given a chance to sober up and change their ways. Remaining staff including owners are observed and persuaded to move to duties best suited to them. An interesting feature is the way he deals with conflict between individuals - not usually trying to completely resolve it early on when morale is low and frustration high. Leaving it until after staff are trained when their respective talents and weaknesses are revealed, makes it clearer who is best suited to be doing what - including husband and wife owners. Taffer understands how painful decisions can sometimes be - getting rid of a thief thought to be a friend, changing a historic bar name. Even though all the bars are in increasing debt and in the last chance saloon, so to speak, it is surprising how obstinate some owners can be and reluctant to make necessary changes. Taffer has a broad armoury and produces it as required - loud humiliating public dressing-downs to quietly bringing in a young owner's mother who had bankrolled the bar with her pension as reminder that success can also be a responsibility to others. Given that the bottom line - profit - is always the bottom line, this is revealed to be not as heartless as it might sound - the payback of job satisfaction - doing a job really well instead of really badly, cooperating with others rather fighting with them, and seeing the effect on customer numbers and appreciation. The series is in fact broader than than just bars, it applies also to service industries particularly tourism. Bars however offer a particularly great freedom of choice - of themes, styles, decor, ambiance, costume - and of course drinks. But with greater choice comes greater possibilities for failure even disaster.